OSWEGO, NY – Six participants from Oswego City School District submitted traffic safety messages on posters that were considered as part of a statewide safety campaign sponsored by the Governor’s Traffic Safety Committee. 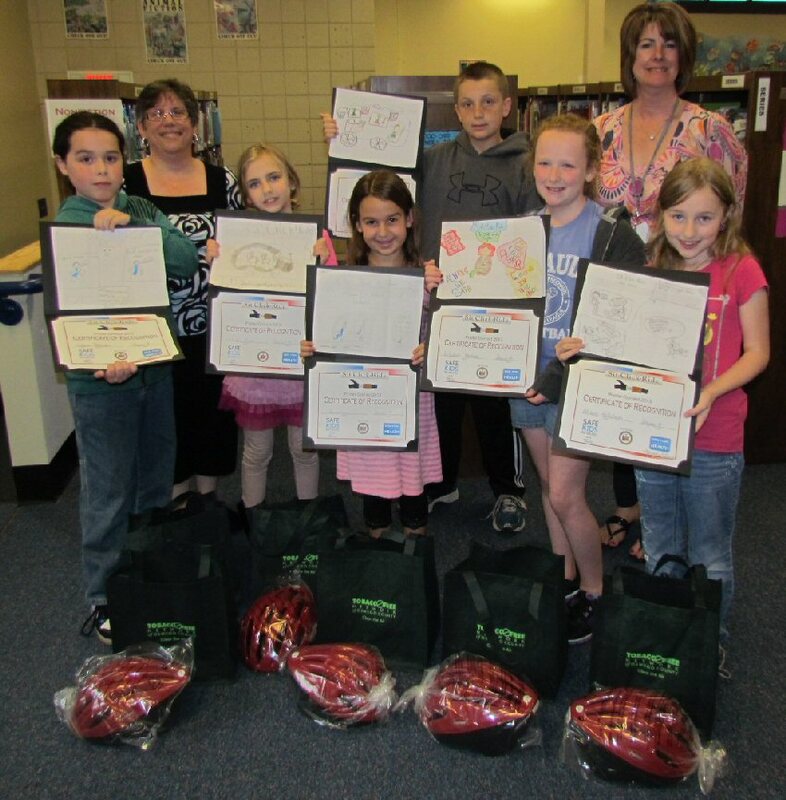 Oswego County Traffic Safety Board, Child Passenger Safety Committee, and the Tobacco Free Network of Oswego County recognized their efforts with prize bags filled with bike helmets, Friendly’s gift certificates and other treats. The students are all from Ms. Christine Castillio’s fourth grade at Kingsford Park Elementary in Oswego. They are from left to right, Dylan Patterson, Tabitha Sailer, Gianna Ruggio, Lilyann Mathews, Alison Ketcham; back row: Margaret Beers, Chair, Oswego County Traffic Safety Board, Mike Douglas, and teacher, Christine Castillio. For more information on bicycle, car, and pedestrian safety, call Billie Crandall Brady, or email her at [email protected] to book a presentation for any age, for your class, group or club.